NHL News : Report: Lower ticket prices coming to the NHL? 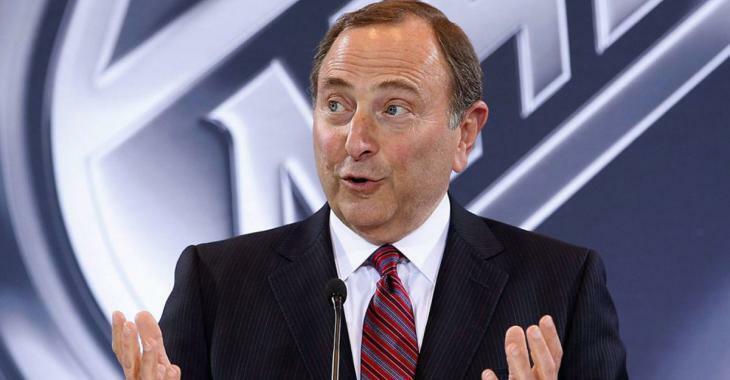 Report: Lower ticket prices coming to the NHL? Safe to say this is LONG overdue. It’s been the plight of the blue collar hockey fan for decades now… the cost of attending an NHL game is simply too expensive. For fans in big markets like Toronto, New York, Montreal, Chicago, Boston and literally a dozen others, the cost of tickets, food, beverages and parking makes attending an NHL game out of reach for most. Especially those of us who work hard for our money. There used to be a time when blue collar works could actually afford to go to games, but those days are long gone. Instead, attend any game with regularity now and you’re more likely to see people in a suit and a tie than you are in a team jersey and face paint. According to Los Angeles Kings executive Luc Robitaille though, the blue collar fan could get some reprieve in the coming years. With the NHL now embracing legalized gambling and announcing partnerships with both MGM and FanDuel, Robitaille believes that ticket prices for NHL games could actually DECREASE after decades of steady increases. "Robitaille believes that the revenue created around sports wagering -- advertising, sponsorships and the like -- could be so considerable that the savings might be passed on to the fans." "If teams profit, then everybody will profit," Robitaille said on ESPN’s On Ice podcast. "If you go by the numbers on the illegal part, it's pretty significant. If that part ends up on the team side, I think it's going help everyone. First of all, the [salary] cap will go up. Fans will be happy. Teams will spend more money on players. Players' salaries will go up." Interesting theory but… I’m not holding my breath. No doubt that Gary Bettman and the NHL owners see nothing but dollar signs in their eyes with these new partnerships. The last thing they’ll be looking to do is lower ticket prices. Still… we can always hold out hope for the return of Old Time Hockey and blue collar scraps in the crowd at NHL games. Oh, the Good Old Days.